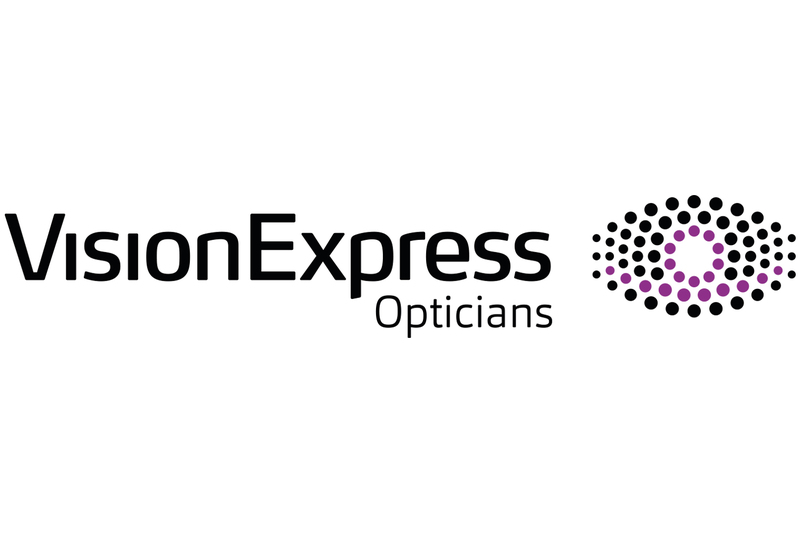 Blue Light Card are proud to be partnered with Vision Express offering members a host of exclusive benefits. Vision Express provide the best individual optical care with coverage across the UK in over 600 stores, including selected Tesco Extra Stores. Longleat Family Day Ticket Giveaway! 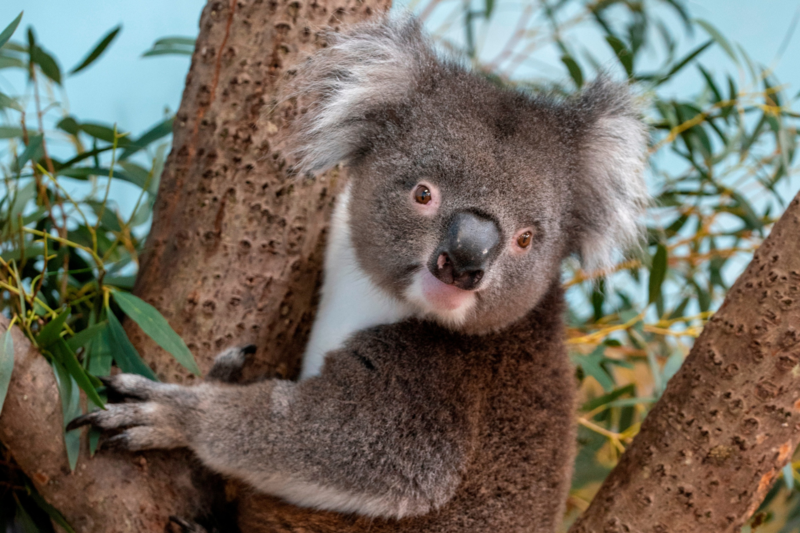 We are running a giveaway across our social media platforms, a Family Day ticket to Longleat to celebrate the opening of Koala Creek! 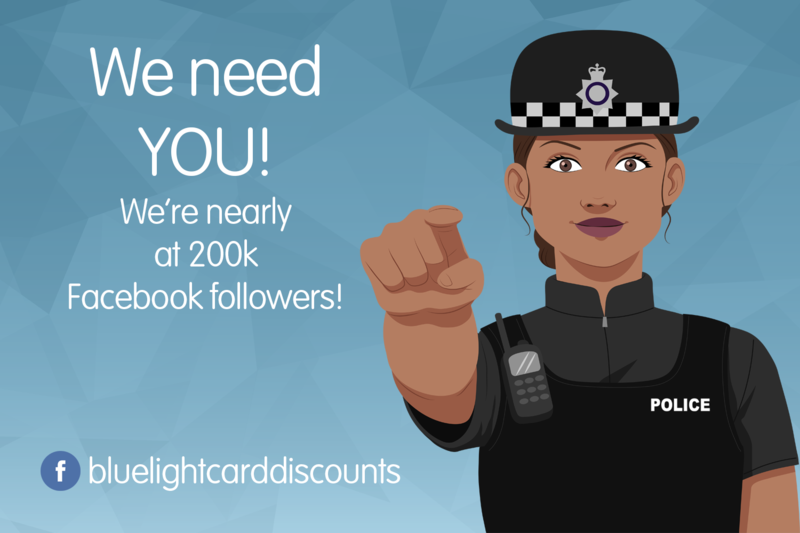 Facebook Giveaway at 200k Followers! We are running a giveaway on our Facebook page when we hit 200k Facebook Followers! We are currently 1474 followers away from this goal. If you'd like to be in with the chance of winning a Spa Day and Afternoon Tea for 2 thanks to our partners at buyagift please make sure you are following our Facebook page! Keep your eyes peeled for more details on the giveaway soon. This giveaway will be run on our Facebook page only so make sure you're following us! 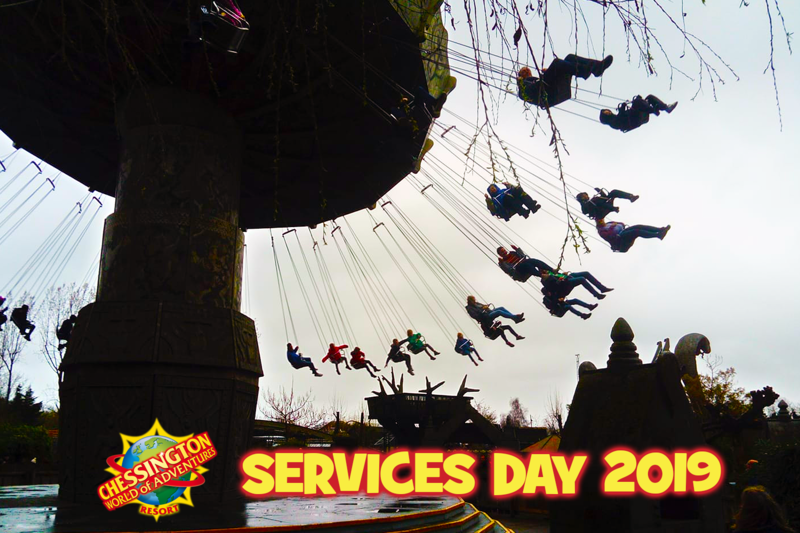 Our Chessington World of Adventure Services Day went down a storm yesterday - quite literally, as the early signs of Storm Freya kept the day damp with a constant drizzle throughout the day! Chessington is an exciting mix of both theme and safari park, with a number of the rides incorporating views of the animals. Zufari: Ride into Africa! is a perfect example, as you hop on board a truck and are driven around a small safari experience featuring rhinos, giraffes and flamingos, it's easy to forget you're at a major UK attraction. Chessington does have traditional rollercoasters as well, including the timeless Vampire and runaway minetrains. There is a very Family Friendly vibe throughout the park with the Gruffalo and Room on the Broom being featured heavily throughout. If rollercoasters aren't your thing there are plenty of animals to admire in the different zones throughout the park with feeding times across the day offering a more in depth view of these animals habits. Meet and Greet's with specific animals are available to buy as well if you want to get up close and personal with your favourites, and if you're not into fluffy animals the Sea Life Centre has a huge range of fish, rays and sharks. 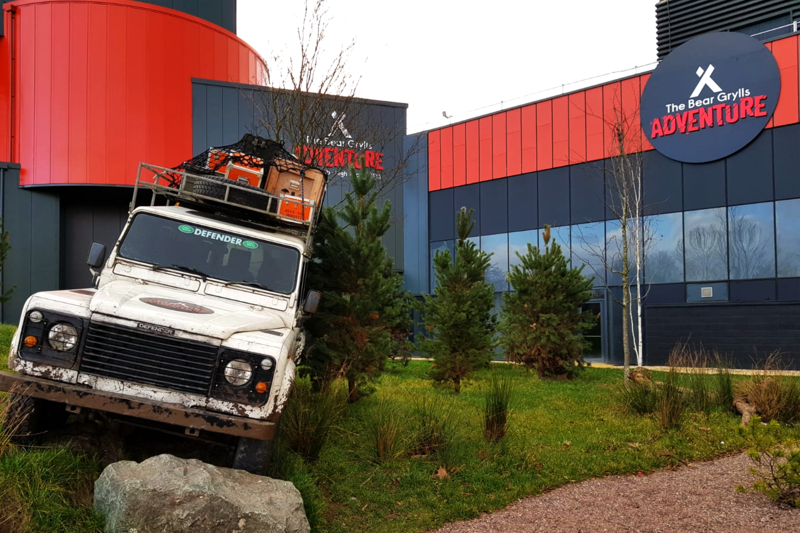 The Bear Grylls Adventure is situated at the NEC, Birmingham. It is a day out like no other, with both physical and mental challenges designed to push you to the limits. With Land Rovers, planes and lots of indoor trees it's easy to forget that you are inside the NEC and easy to immerse yourself in this survivalist world. With various different packages available, you can tailor your day to include as much or as little as you want to try. All packages start with Basecamp, a 4 part activity including a Survival Maze, Escape Room, Archery and Assault Course. For this experience you will need to keep your wits about you, face phobias and keep your energy high. Other activities include iFly - an indoor skydiving experience, Climbing - dedicated climbing walls with varying difficulty, High Ropes - an outdoor zipline out of a chinook then on to a 25m tall rope course and Diving - an underwater dive experience amongst 13 sharks, rays and numerous tropical fish. We recommend you take waterproof clothes and a few layers as some of the activities are outside, wear appropriate shoes with plenty of grip and make sure you take advantage of the on site cafe - keeping yourself hydrated and energised for these activities is essential! With Blue Light Card, you can receive up to 15% off when booking The Bear Grylls Adventure, we also have a giveaway on Friday 18th January 2019 for 2 x 'All In' tickets to the experience! Please follow our social medias for more information!